Are you building a new home that won’t be ready by moving day? We do offer overnight storage and have some long term storage options at our warehouse. We can also assist in getting a self storage unit set up for you! There are a few things to keep in mind when choosing a storage unit. Drive up vs Interior storage: From a moving perspective, a garage style drive up storage unit will be the most economical choice by far. We can unload a truck very quickly and safely into a drive up unit on the ground floor. Interior ground floor units will take a bit longer and 2nd floor (or higher) units with stairs or elevators will take even longer. Do I need climate controlled storage? If you are planning to store your items long term (1 year or more), then we recommend a climate controlled unit. Keep in mind that these will be the interior units mentioned above. So the move will take a bit longer. If you are short term, typically a drive up unit is just fine. If you have antiques wood furniture, instruments or significant leather furniture, then climate controlled may be the best option for even short term. What Size Storage do I need? We recommend consulting with your local storage agent on sizing if its at their location. They will have first hand knowledge of any intricacies of their building. Typically a larger single family home will need at least a 10×30. Please keep in mind that its better to err on the side of too much space! Especially if you will need access for items during your storage period. This will allow the movers to strategically place some items w/ access points. Do you offer overnight storage? Are you settling on two homes at the same time and need to be out the day before? We experience this quite regularly and more often than not we can happily oblige. If this is your scenario, we recommend booking your move at least one full month in advance as there are additional scheduling challenges to consider. 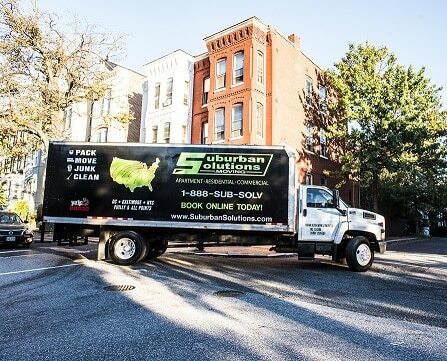 When booking a move with overnight storage, there is an extra fee for keeping your belongings on the truck over night. Each location varies in their parking, but all trucks are locked up for safe keeping and most lots are completely secure as well. Typically our schedule will only allow for a single night of over night storage. This is because we are typically a 3 truck to 7 truck operation and do not have the luxury of grounding a truck for an extended period of time. Please keep in mind that the time spent driving to and from your home with a loaded moving truck is considered billable time. If you need a few days of storage, one option would be to rent a moving van and we can keep things stored over a few nights. This likely will be a cheaper alternative to us finding a short term location. If we need to find a short term alternative for storage for your move, the down side is that we have to unload and reload, creating extra billable time.